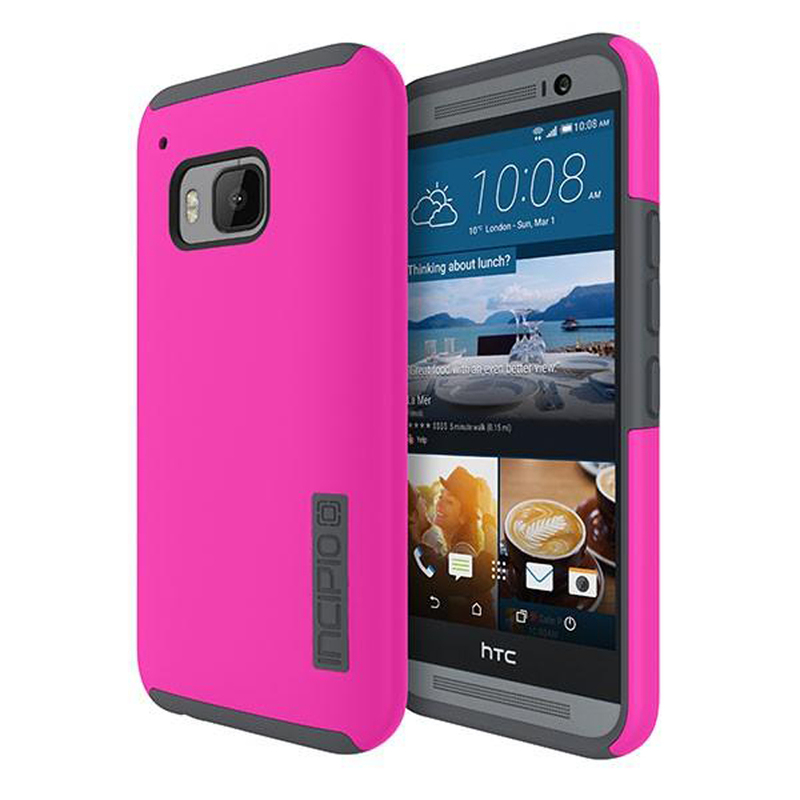 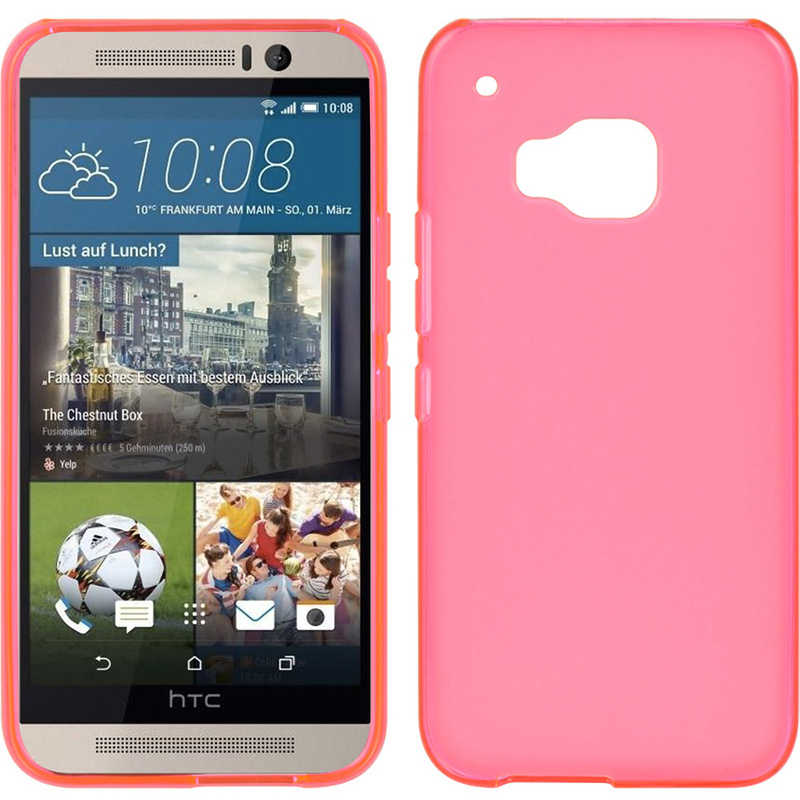 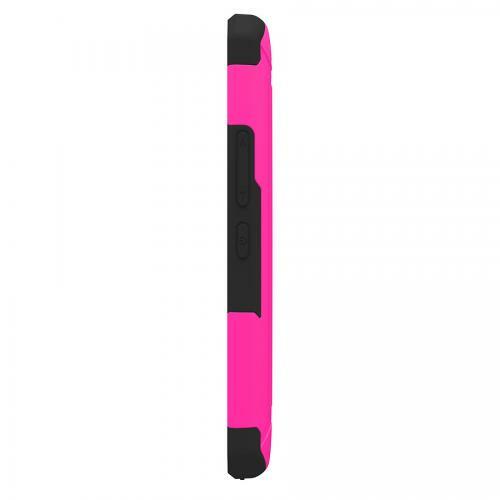 AccessoryGeeks.com | Trident Hot Pink Aegis Slim Protective Dual Layer Hybrid Case for HTC One M9 | Free Shipping! 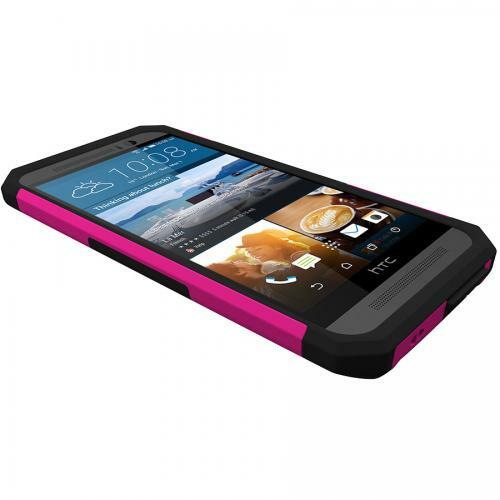 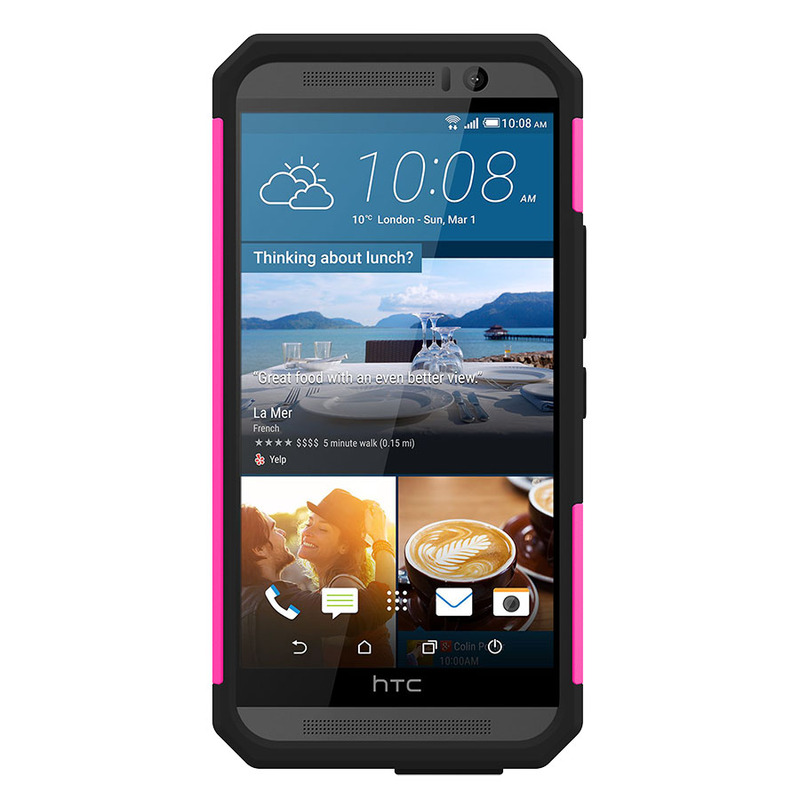 HTC One M9 Case, Trident [Hot Pink] AEGIS Series Slim & Rugged Hard Case Over Silicone Skin Dual Layer Hybrid Case w/ Screen Protector The Aegis offers full protection with a creative design to keep the HTC One M9 safe and unharmed without compromising its advanced functionality. 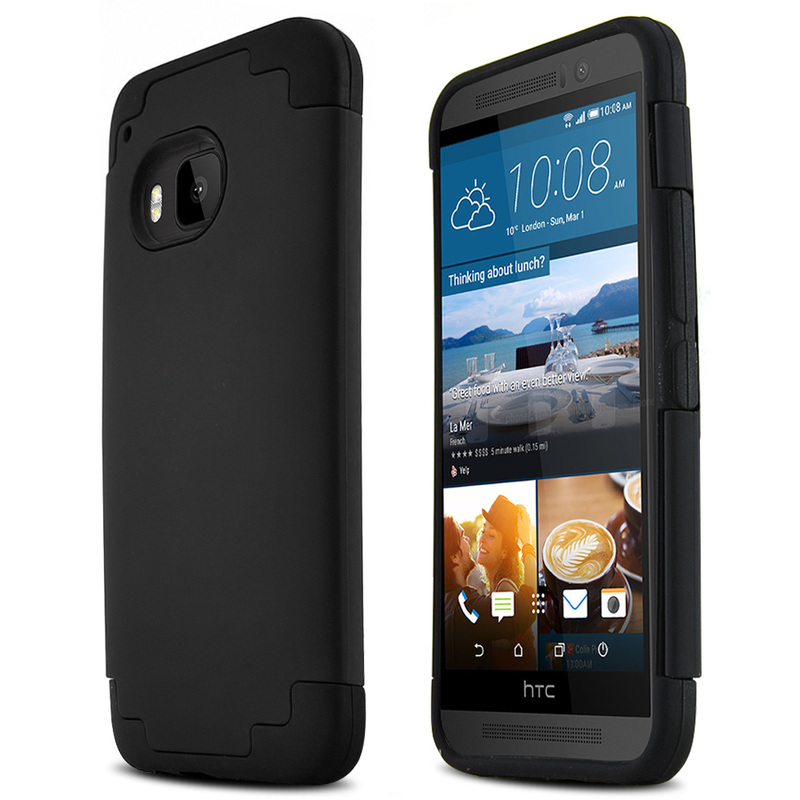 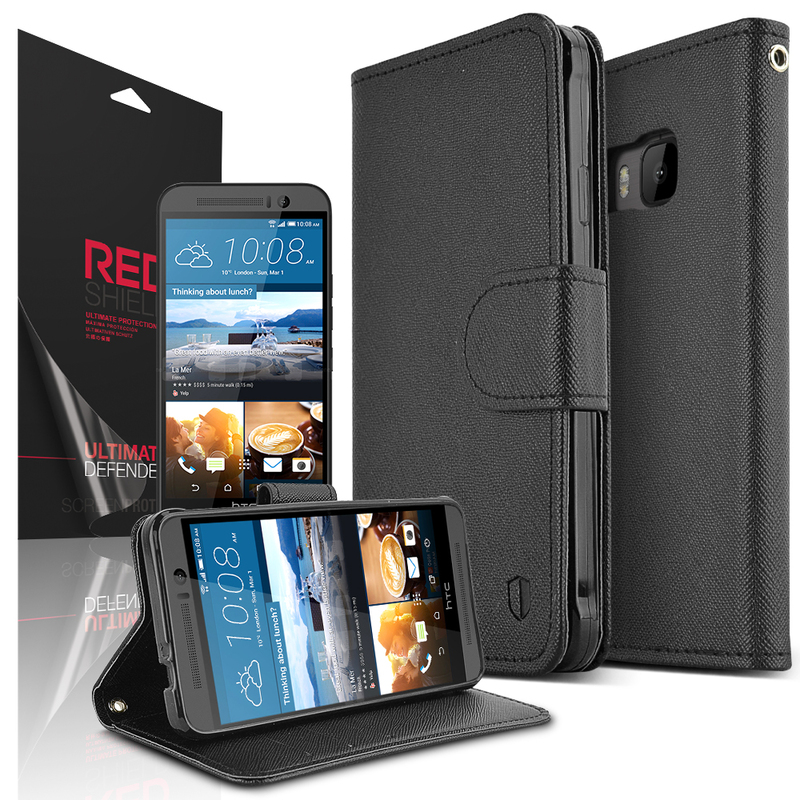 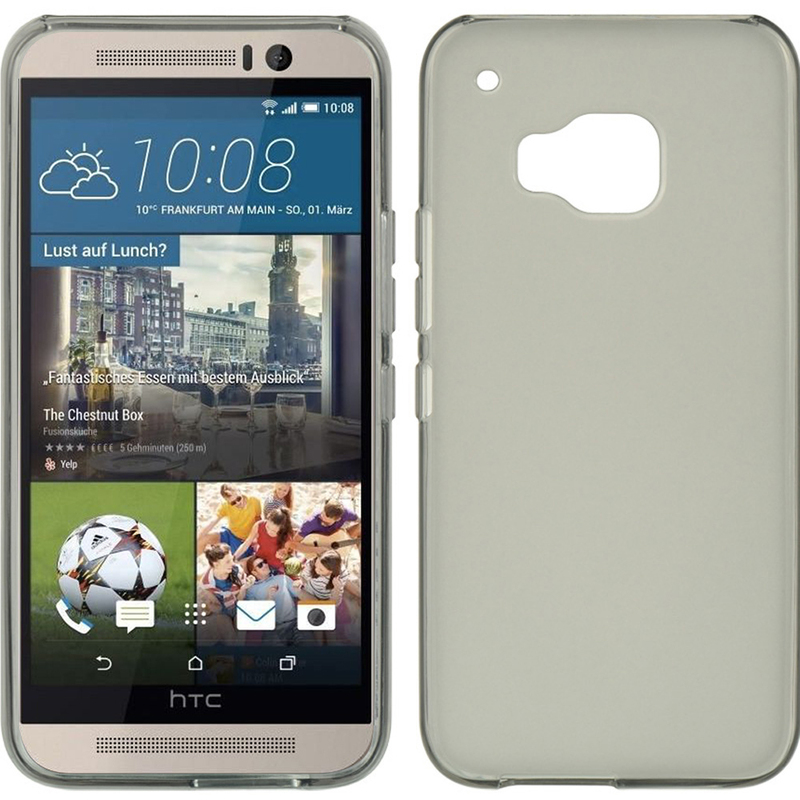 Unlike Trident Case's other series of cases, with the Aegis, the silicone layer is on the inside in direct contact with the HTC One M9 with a hard polycarbonate shell on the outside. 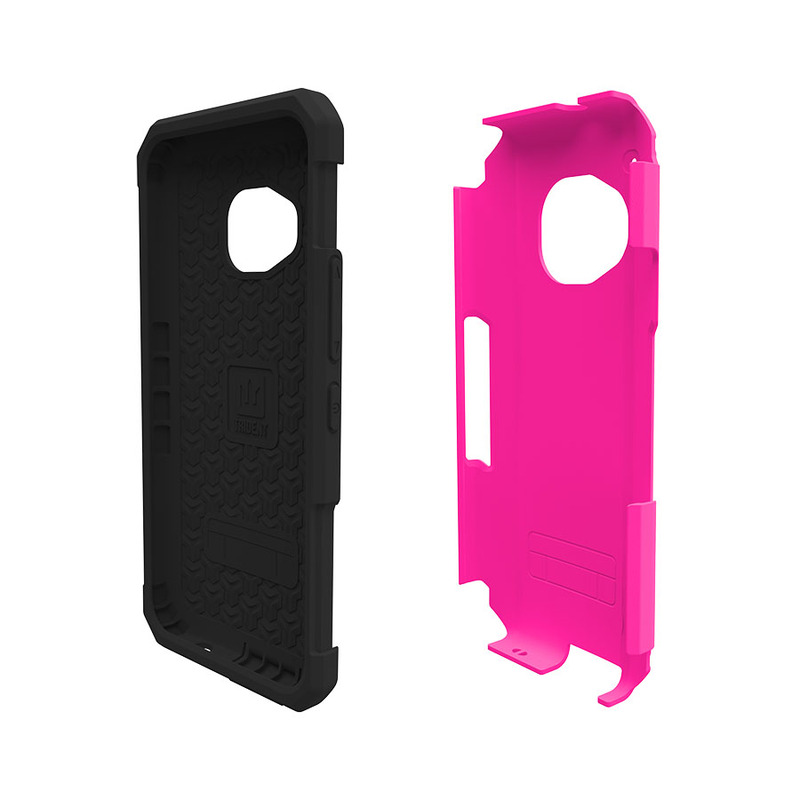 Inner Impact-Resistant Silicone: double-thick silicone corners, along with anti-skid pads, protect the device from impacts, while giving extra protection to fragile impact zones. 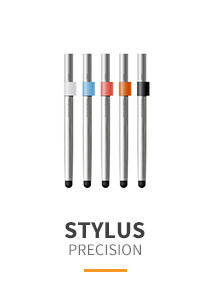 Silicone plugs, dust filters, and included clear screen protector keep moisture, dirt, and debris away from your device. 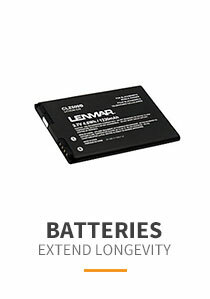 All materials are 100% RoHS compliant and meet Military Standards MIL-STD-810F! The Aegis offers full protection with a creative design to keep the HTC One M9 safe and unharmed without compromising its advanced functionality. 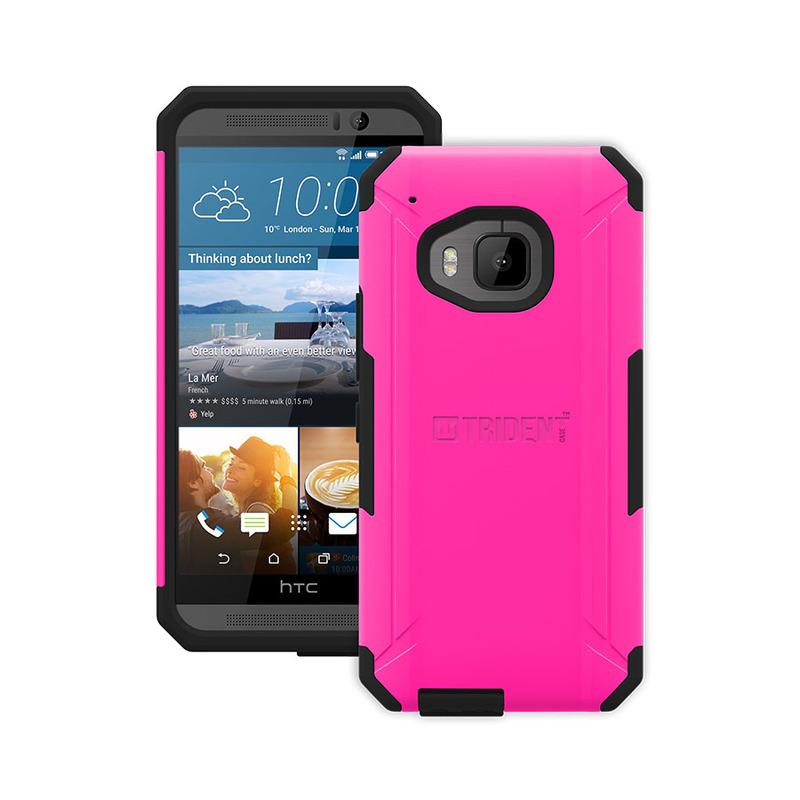 Unlike Trident Case's other series of cases, with the Aegis, the silicone layer is on the inside in direct contact with the HTC One M9 with a hard polycarbonate shell on the outside. 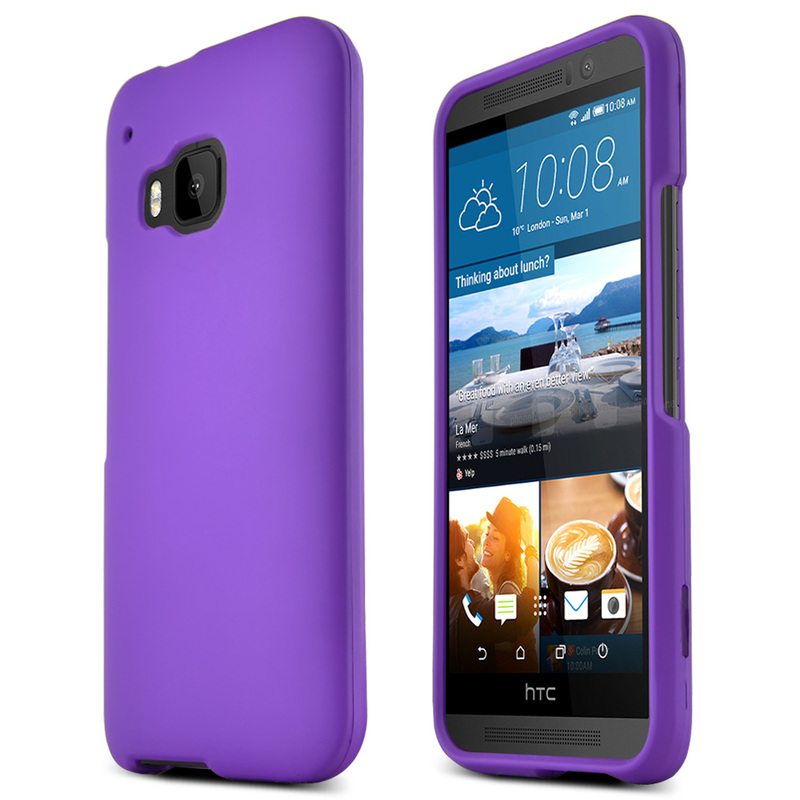 This is to prevent the easily-scratched back of the HTC One M9 from getting damaged. 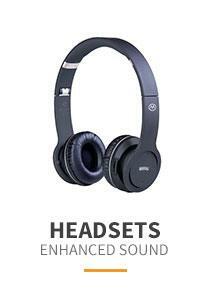 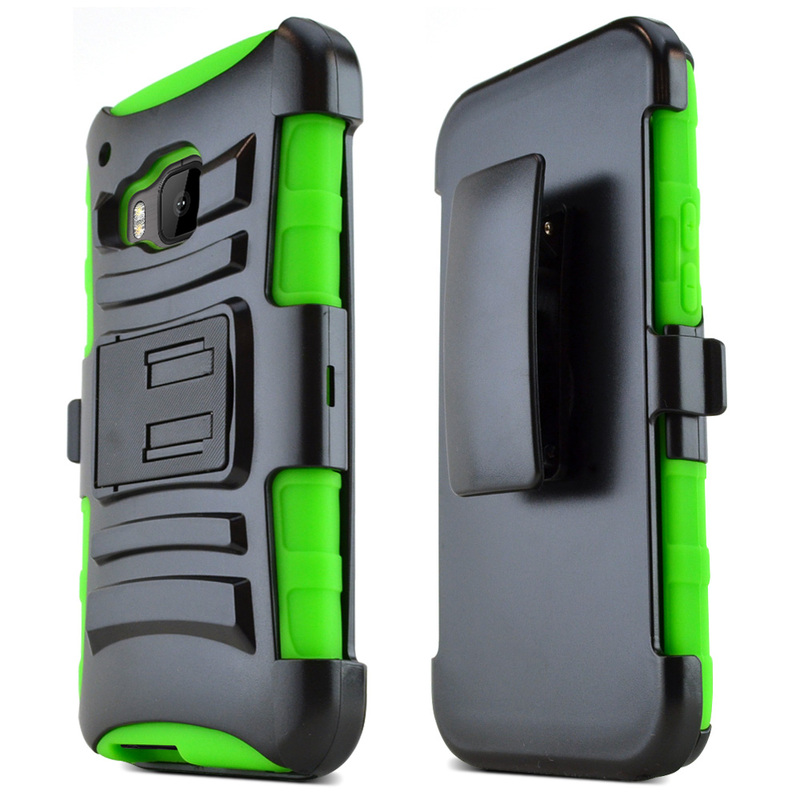 It also makes the case easier to casually slide in and out of pants pockets. 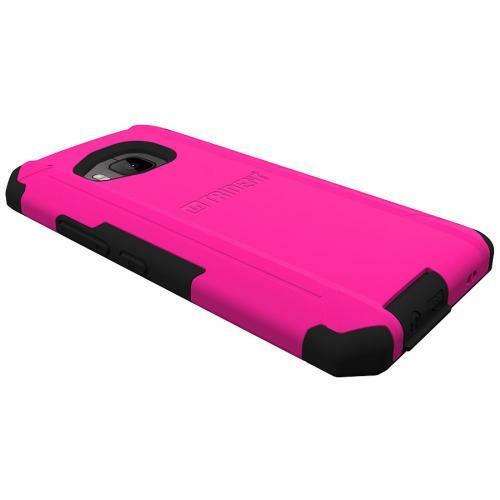 This has been tested according to Military Standard MIL-STD-810F and is approved by the United States Department of Defense. 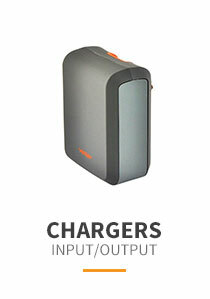 Degradable, compostable and recyclable. 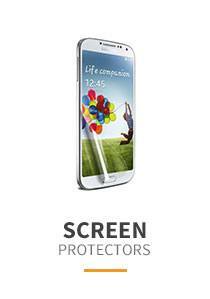 With investments in renewable resources, Trident has taken the lead by implementing its Green Protection Plan. 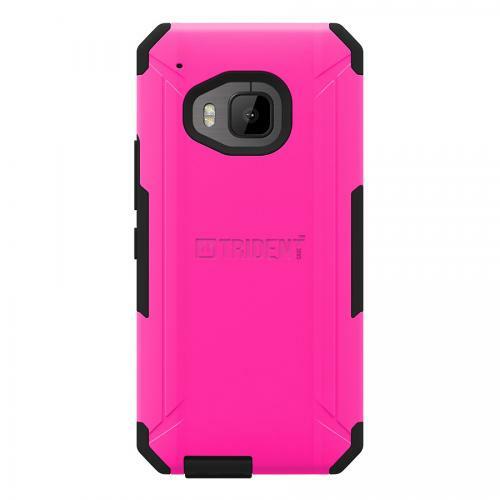 Rather than degrading in a landfill over 500 to 1000 years into a toxic byproduct, Trident's bio-enhanced plastic degrades in approximately 25 years into carbon dioxide, water and methane. 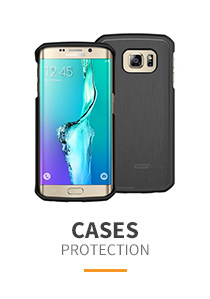 The strength, appearance and integrity of the bio-enhanced cases exceed those of standard cases with no increase in price. Protect your HTC One M9 and go green at the same time!